The Year 2004 in Review! Web Page for the department had over 7,290 hits! M.E.S. volunteered over 9,067 hours to the community, saving the citizens over $111,886.78! FF/EMT’s Chris Megonigle & Samie Byers receive MICT Certifications in December! In December, Fire District #12 purchased a new brush truck to replace P-409! 8 M.E.S. personnel receive Firefighter I certification in November! 25 members (83%) now have a minimum certification of FF-I. In September M.E.S. 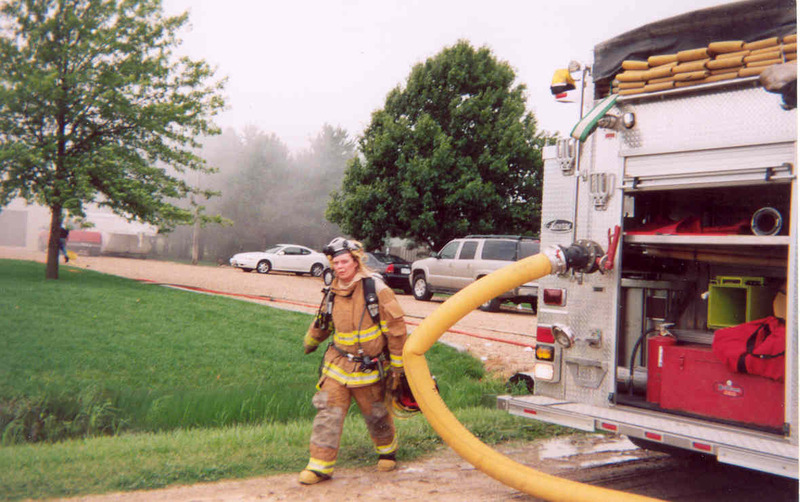 hired Donnie Bean as a full-time night Firefighter/EMT! Lowell Ester is Mulvane "Employee of the Month for September 2004! John Andrews & Steve Kohr are Mulvane "Employees of the Month" for July 2004! In June we received a grant from the Forestry Service for Bunker Gear! 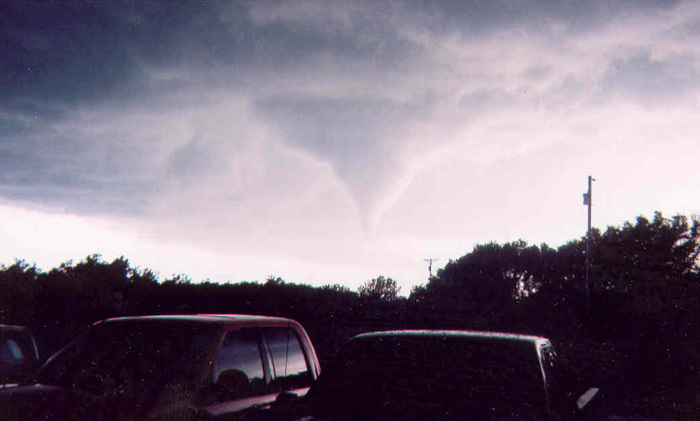 Tornado skirts Mulvane in June and destroys 3 homes in Fire District #12. 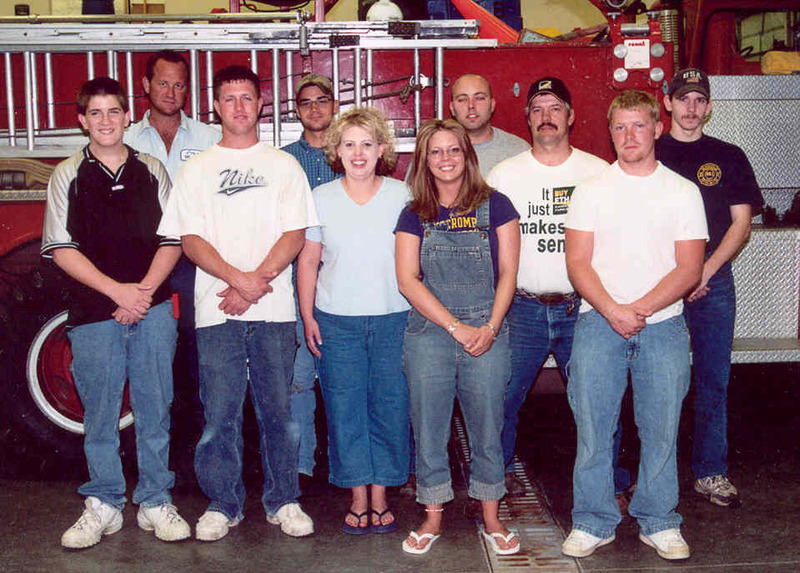 Fred Heersche is Mulvane "Employee of the Month" for June 2004! MES received an O.D.P. Grant for 800 radio equipment and a Scott Infared Camera! M.E.S. 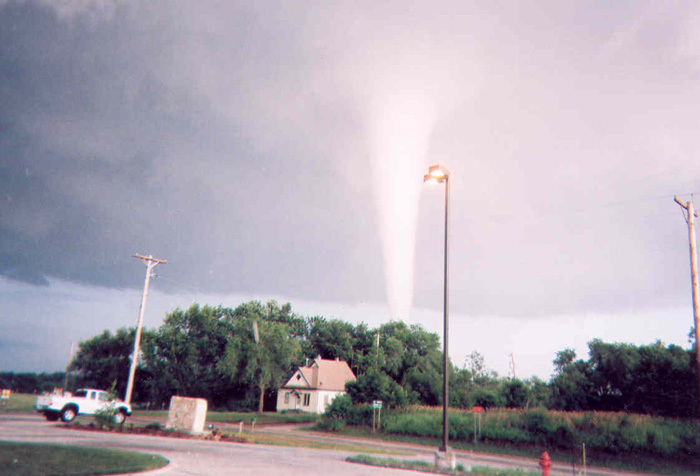 held a joint disaster drill in April with Mulvane School District! 6 M.E.S. personnel receive Driver / Operator certification in March! 4 M.E.S. personnel received Instructor 1 certification in February. 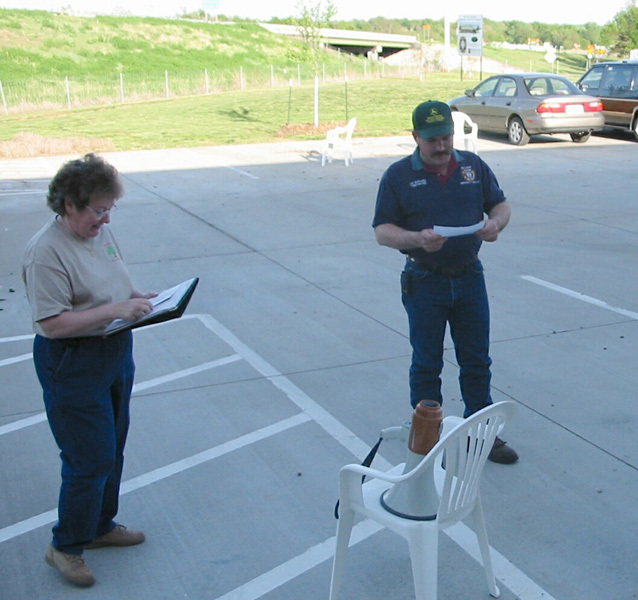 Mulvane is the first Kansas Fire Department to receive an ISO Class 8B rural rating! 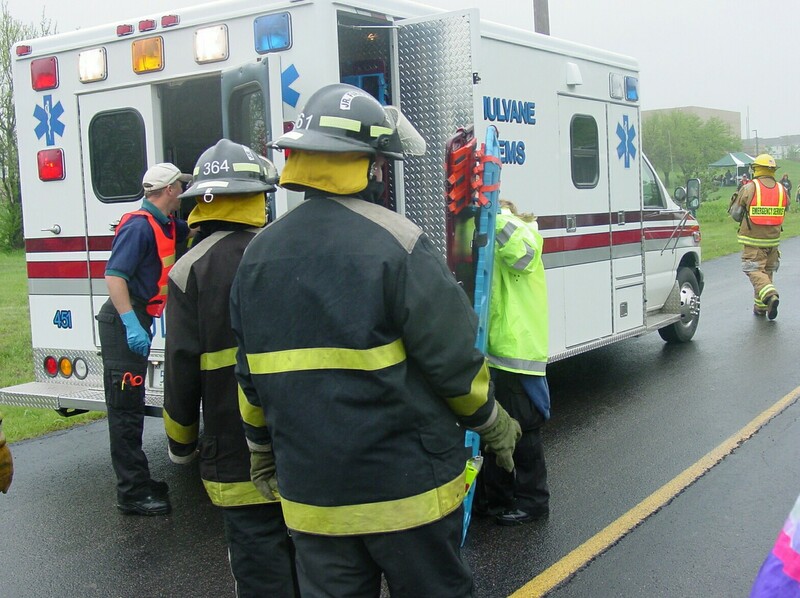 Mulvane is the second Kansas Volunteer Fire Department to receive an ISO Class 3! 10 M.E.S. personnel receive Firefighter II certification in January! 40% of the members now have FF-II certification. 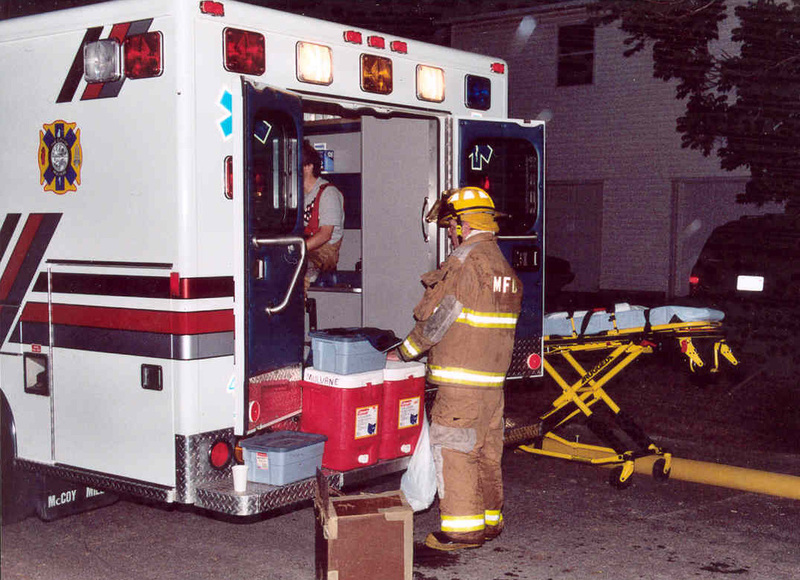 EMS set a new call record of 645 Calls or 12.5 ambulance calls per week! Ran 275 Fire Alarms or 5 fire calls per week! 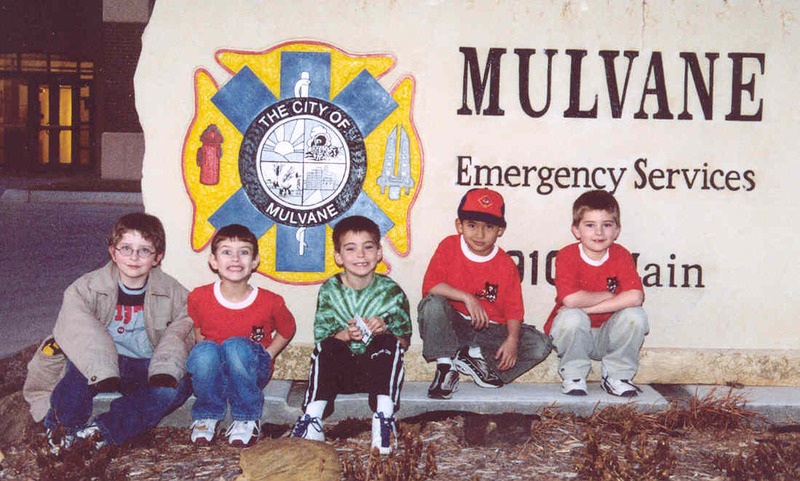 Mulvane Fire Rescue welcomes 8 new members into its ranks in 2004. Congratulations to; Rick Brown, Clint Stebbins, P.J. Wright, Kyle Biggs, Luke Rivera, Samie Byers, Mike Miller, & Jerrod Boor. Congratulations to; MICT Mike Mitchell, EMT Noel Moyer, EMT Kevin Stoll, EMT Brandy Williams &. EMT Keena Campbell. (L-R) Brian Diller, Clint Stebbins, Rick Brown, Amy Hoobler, Luke Rivera, Kyle Biggs, P.J. Wright & Instructor Bobby Kimble. 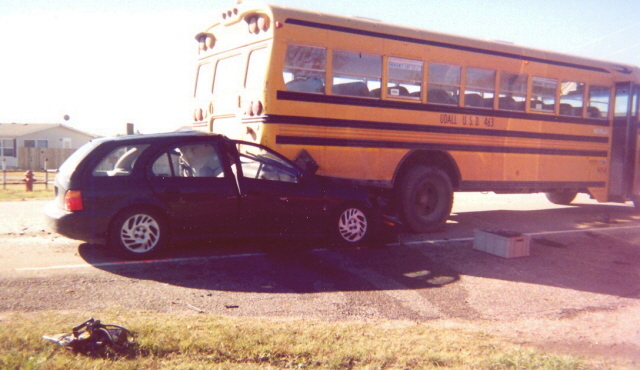 Fatality accident involving a School Bus. 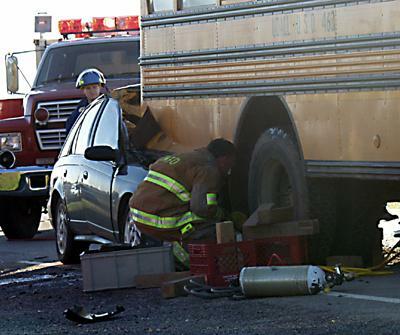 Firefighter Rob Young stabilizes a School Bus as they prepare to use air bags to remove the victim of a fatality accident from his vehicle. Firefighter Aaron Mattson looks on from behind the car. Udall Rescue 41 seen in the background. 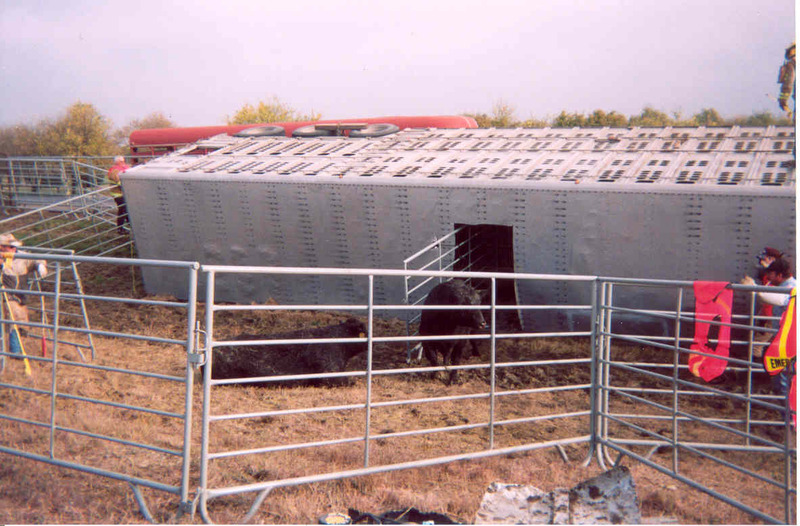 Overturned cattle truck causes quite a stink! The call for an unknown accident with an overturned semi came in at 3:30 am. 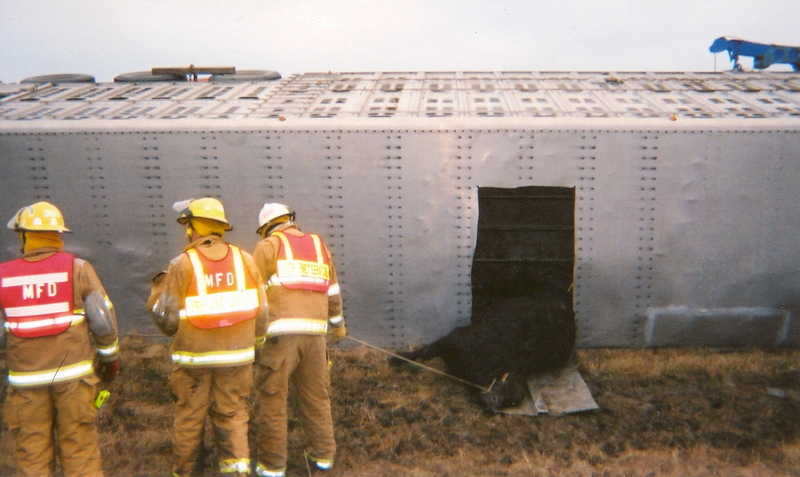 First arriving units found a loaded cattle truck turned over on it's side. 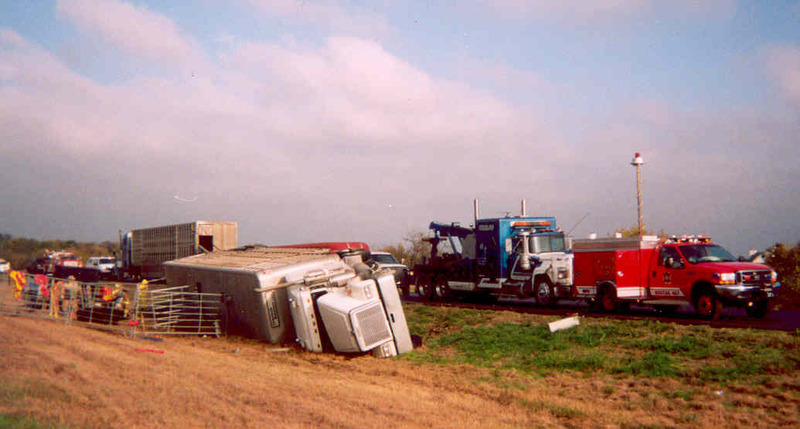 The driver of the rig was appeared to be uninjured and refused medical service. 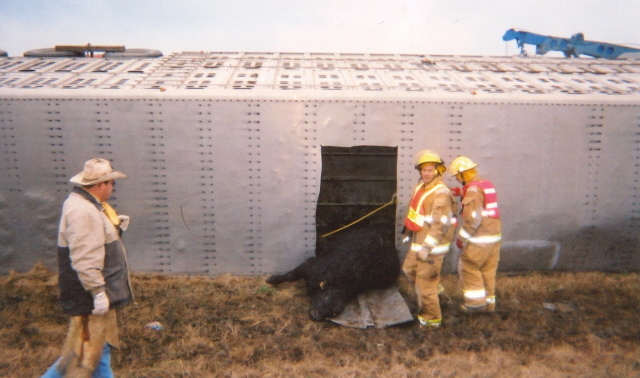 Fire units worked for 8 hours cutting on the trailer to free 36 Angus steers from the trailer so it could be up righted. 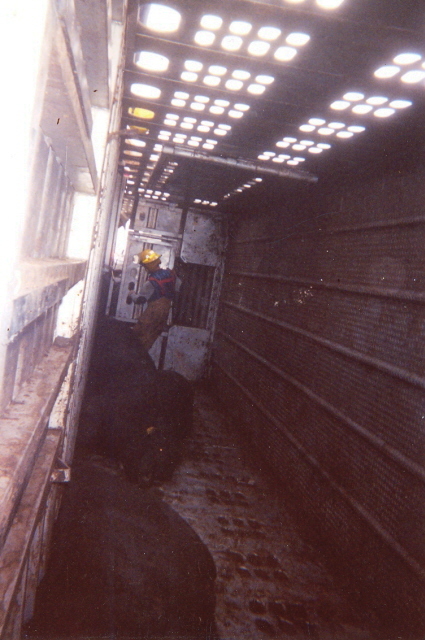 There were five dead steers and one with a broken leg. 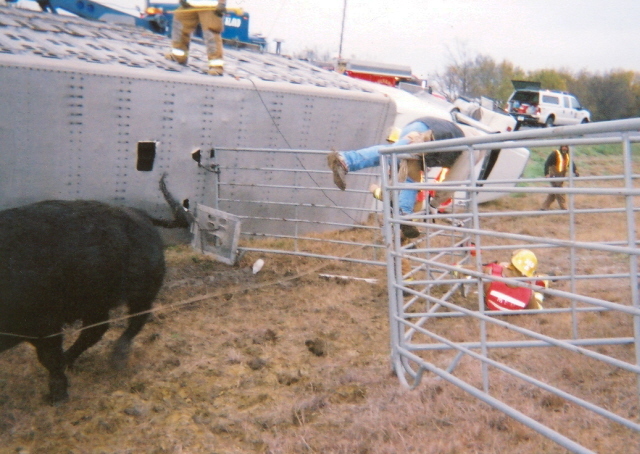 First cow out had to check to see if the fence was secure, as Travis Theurer goes over the fence on top of FF Rick Brown. So much for the cowboys! Another cow which was blocking the exit had a broken leg and had to be drug out of the doorway so the rest of the animals could get out. This years open house was quite a success and visitors had the opportunity to experience some different things. 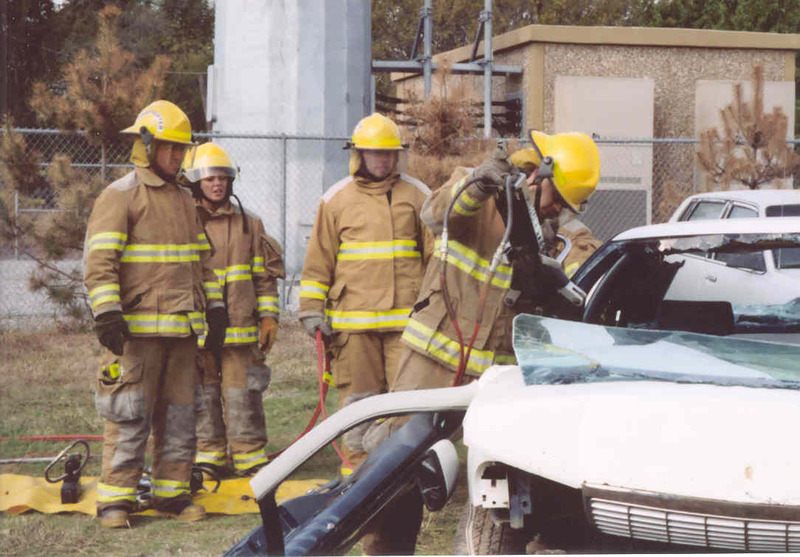 This year we put on an extrication demonstration showing the use of different tools. During the demonstration we received three alarms in about 15 minutes leaving the station with only two firemen. 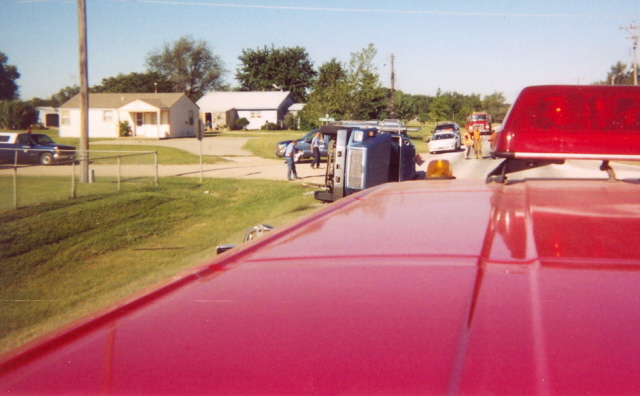 The visitors were impressed the quick response time of putting the rescue truck back together to make a car wreck and getting to watch the other fire units leave the station. M.F.R. 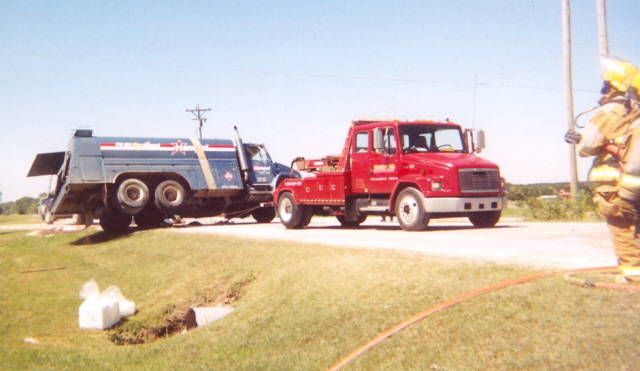 crews standby at the scene of a MVA involving an overturned Fuel Truck. Captain Lowell Ester named City Employee of the Month. Lowell was nominated by his co-workers for City Employee of the Month for September due to the many hours he puts in at Mulvane Emergency Services above and beyond his required work details. Most recently was the installation of a new underground sprinkler system and landscaping projects. 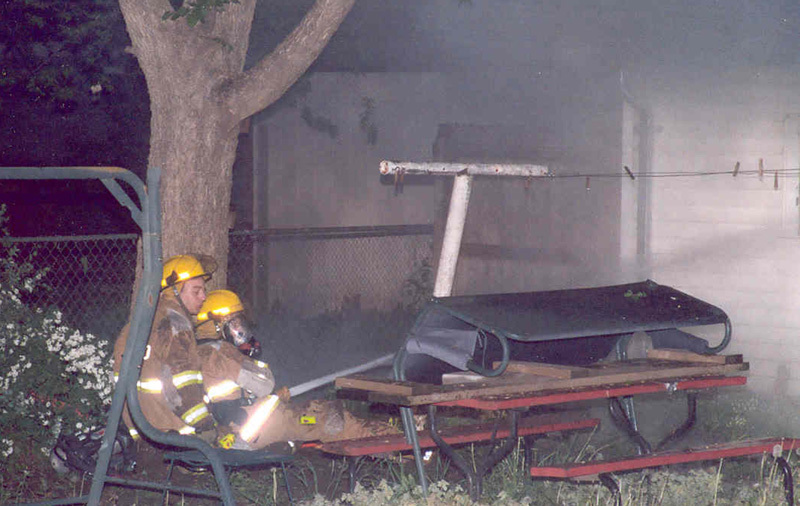 Some pictures from a Mutual Aid basement fire. 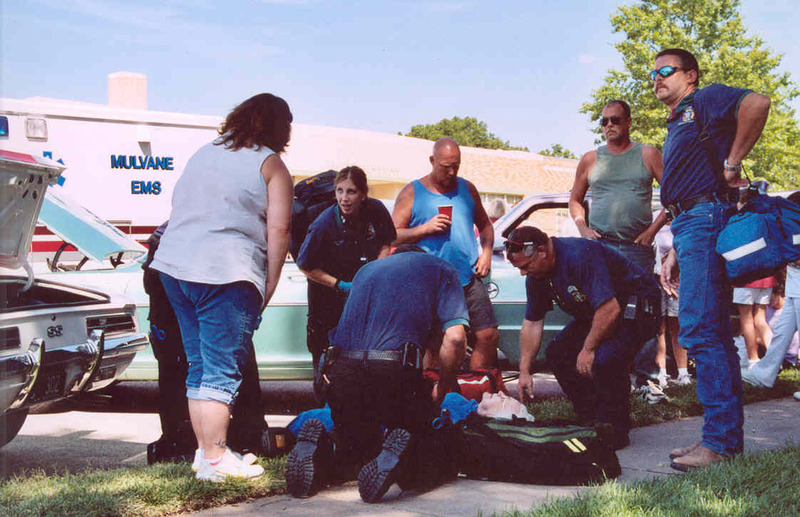 MES personnel help a fall victim. MES personnel standby at the parade & get visited by the Keystone Cops! Firefighters John Andrews and Steve Kohr are named City Employees of the Month. Both John and Steve were awarded City Employees of the Month for July. They were both selected for their contributions to Mulvane Emergency Services. They both played major roles in the last several years preparing for the ISO evaluation. Most recently helped get the Mulvane Firefighters Relief re-evaluated and increased our monies from the state almost three fold. This allowed the Firefighters Relief association to purchase a much better insurance policy for its members and to increase it's coverage policy to 24-7 365 days a year. John and Steve both received 25 Mulvane Dollars for their efforts. Firefighter Fred Heersche named City Employee of the Month. Fred was nominated by his co-workers for City Employee of the Month for June due to the many hours he donates to Mulvane Emergency Services. 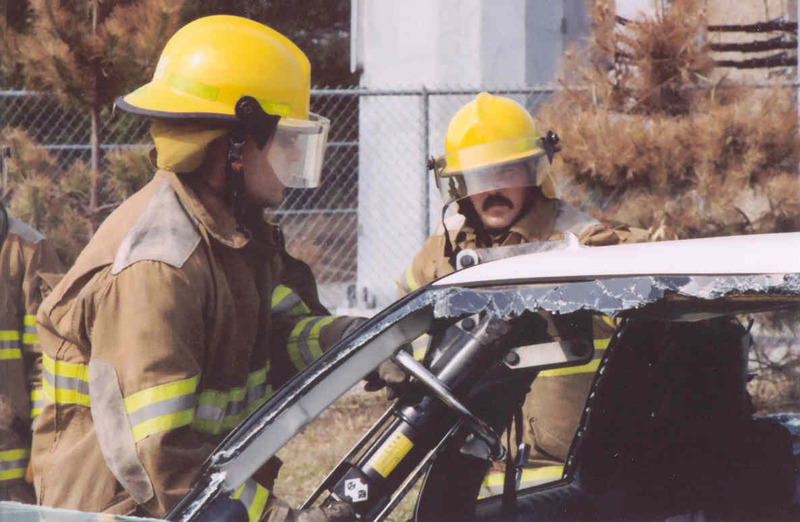 Most recently he was involved in obtaining 6 vehicles that were used in extrication class's. 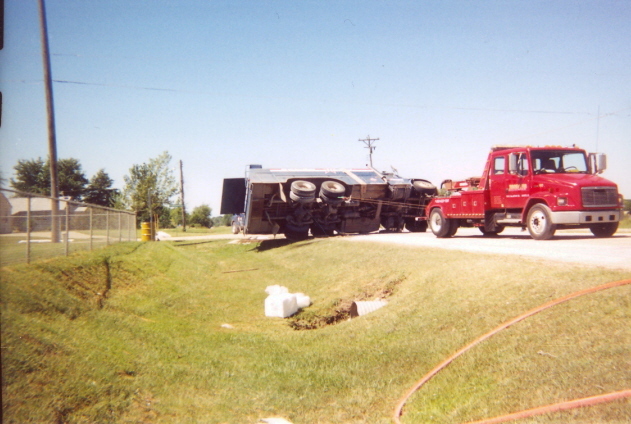 He picked these cars up, delivered them, and then towed them off to the salvage yard when training was completed. 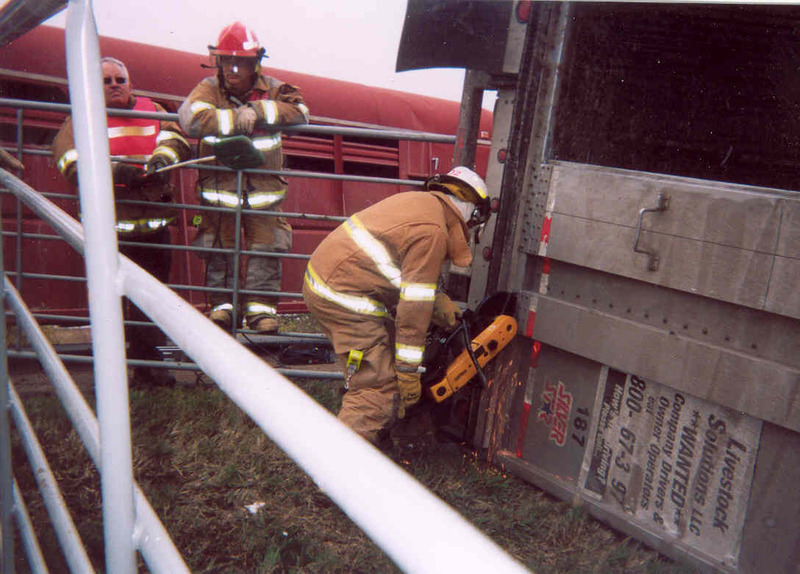 With the money he obtained from the salvage yard for these vehicles, he purchased a new Milwaukee saws-all which was placed on Rescue 407. Fred received 25 Mulvane Dollars which can be spent with any local Mulvane merchant. 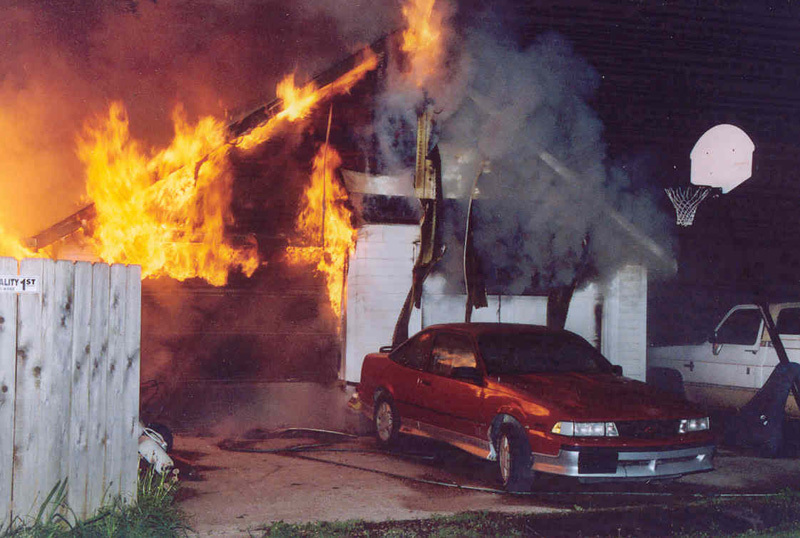 Fire Insurance Rates Reduced in Mulvane. 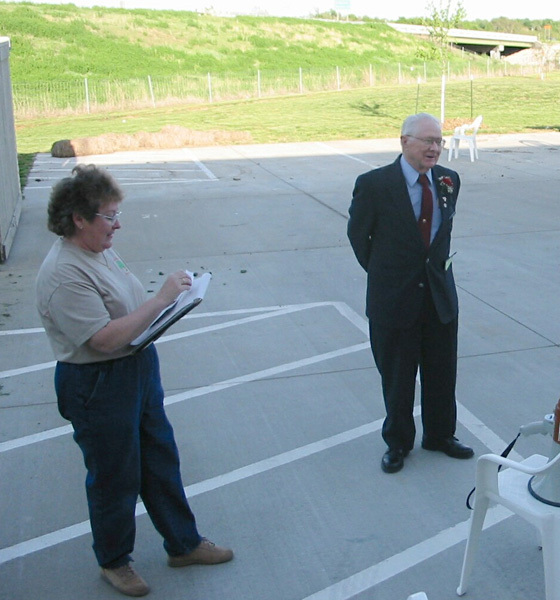 Mulvane is only the second Kansas Volunteer Fire Department to ever receive an ISO Class 3! 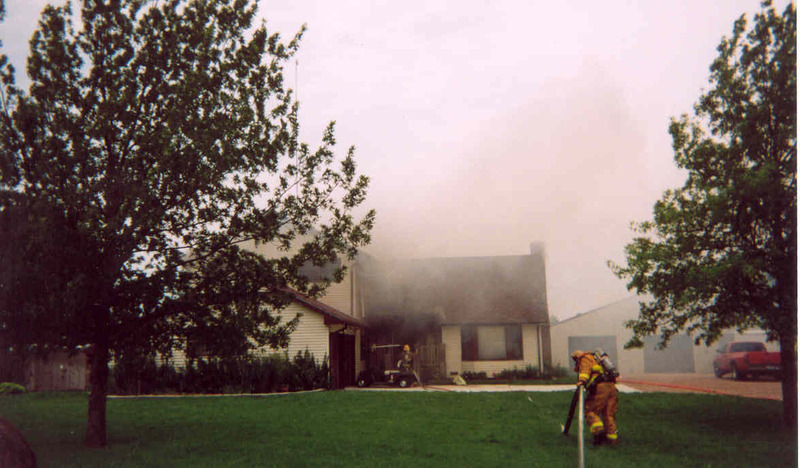 The City of Mulvane, Kansas was notified that the Insurance Services Office (ISO) has reduced Mulvane’s Fire Protection Class rating from a previous Class 6 to a Class 3, effective August 1st, 2004. ISO is the leading supplier of statistical, underwriting, and actuarial information for the property/casualty insurance industry. Insurance premiums are partly based on this rating. The lower the rating, the less premium one may pay for property and casualty insurance. This new lower rating will primarily affect commercial & business properties inside the City Limits of Mulvane. 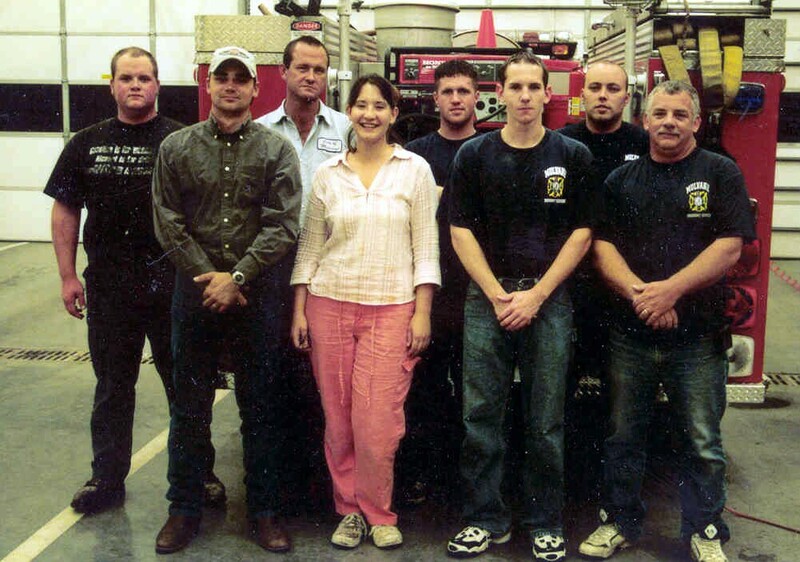 Sumner County Fire District #12’s Fire Protection Class rating was lowered from a previous Class 9 to a Class 8B. Mulvane is the first department in Kansas to receive this new class 8B rating. 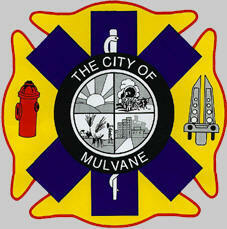 The 8B rating is based on Mulvane’s ability to supply 200 gallons per minute for 20 minutes in non-hydranted areas. 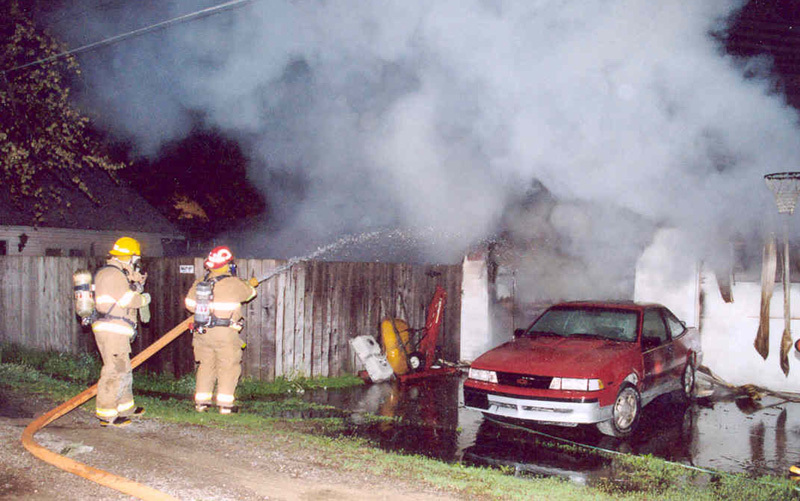 It will be important for residential and commercial property owners in Sumner County Fire District #12 to advise their insurance companies of this new rating to see what effects it will have on their insurance premiums. Not all insurance companies are recognizing this new 8B rating yet. 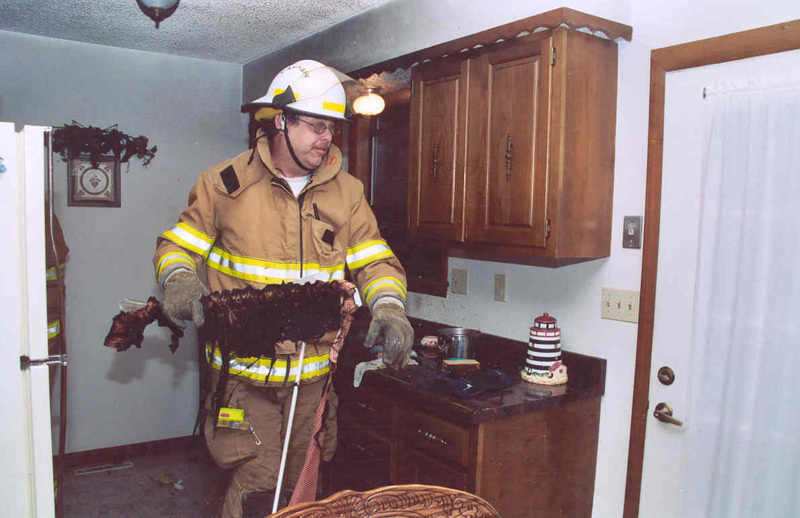 In performing their analysis, ISO examined all of Mulvane’s fire protection resources. 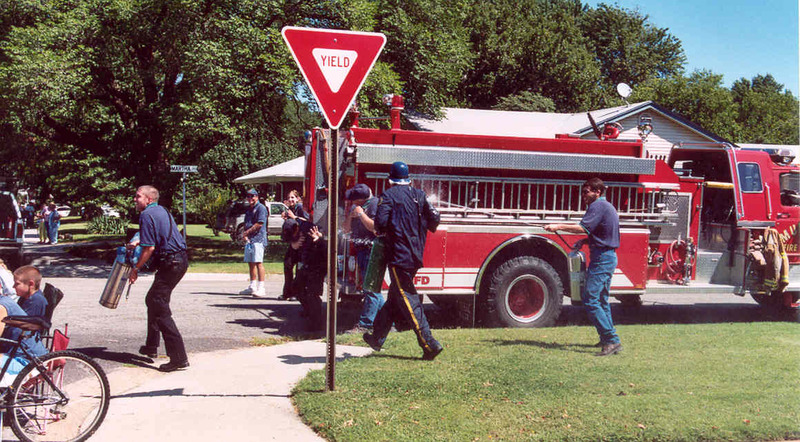 This included staffing, fire inspections, apparatus, firefighting equipment, response times, mutual aid agreements, firefighting water delivery systems, fire hose amount and testing records, and training frequency and records. 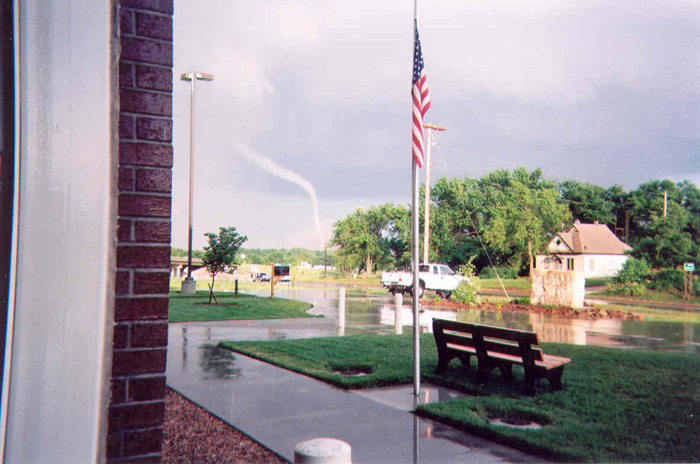 This also included Mulvane 911 dispatch center and a complete review of Mulvane’s water department, fire hydrants, hydrant inspections, reservoirs and water mains. 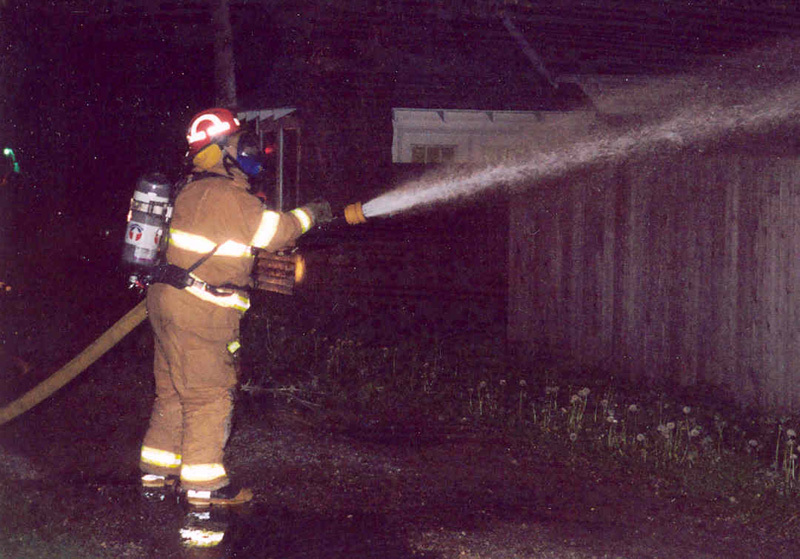 Since the last analysis 1986, the City of Mulvane has made a significant investment in the City’s fire protection resources, which has translated into this very significant rating reduction. Of course, without the countless hours put forth by the volunteers, none of this would have been possible. This new rating ranks Mulvane Fire Department in the top 2% of communities in Kansas for fire protection services and also in the top 4% of communities nationwide. 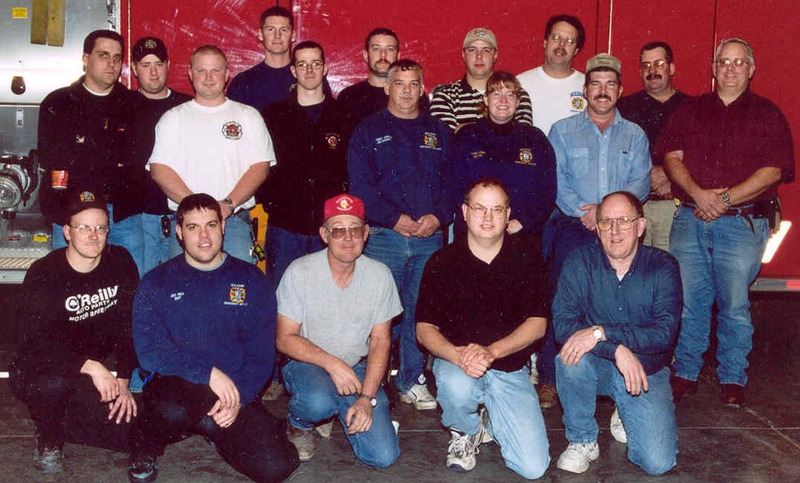 Only one other Volunteer Fire Department in Kansas has ever achieved a Class 3 rating. There are only 4 fire departments in Kansas with a better ISO rating than Mulvane, with an ISO Class 2. There are now 24 communities with an ISO Class 3 rating out of 1,140 communities in Kansas surveyed. Three other Departments in Sedgwick County have an ISO rating of Class 3, Wichita, McConnell AFB and Sedgwick County Fire District #1. Read more about Mulvane's ISO Class 3. Sumner County Fire District #12 received a Volunteer Fire Assistance Grant of $4,000 from Kansas State Forestry, for the purchase of a new Bunker Gear. 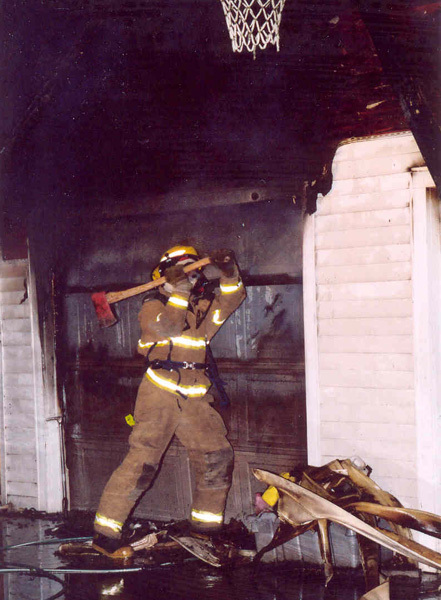 This is a 50/50 matching grant, which will allow us to purchase new bunker gear for our members. The cost to M.E.S. will be $2,000. 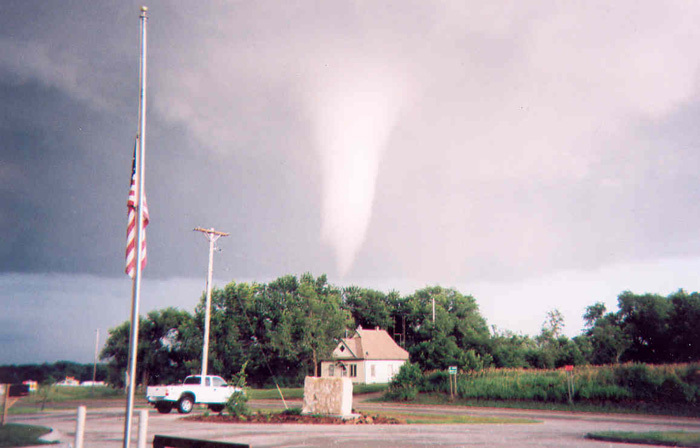 An outbreak of tornados skirt the City of Mulvane and cause damage to several residents & farms in Sumner County. More Pictures and Videos. View time sheet of events. 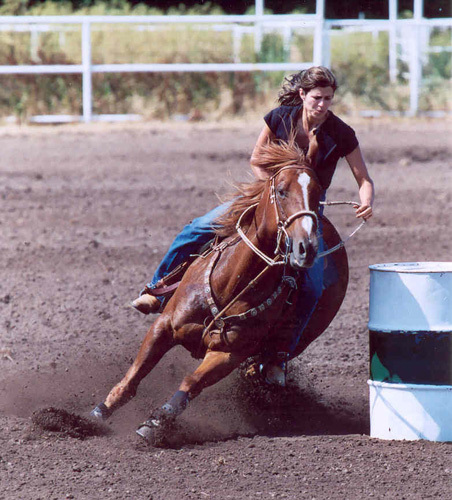 Mulvane Saddle Club holds its 2nd Annual Benefit for M.E.S. Mulvane Fire Rescue welcomes 8 new members into its ranks. (L to R, Back Row) Rick Brown, Clint Stebbins, P.J. Wright, & Kyle Biggs. (Front Row) Justin Pietro (Reserves), Luke Rivera, Kim Benson (Resource), Samie Byers, Mike Miller, Jerrod Boor. 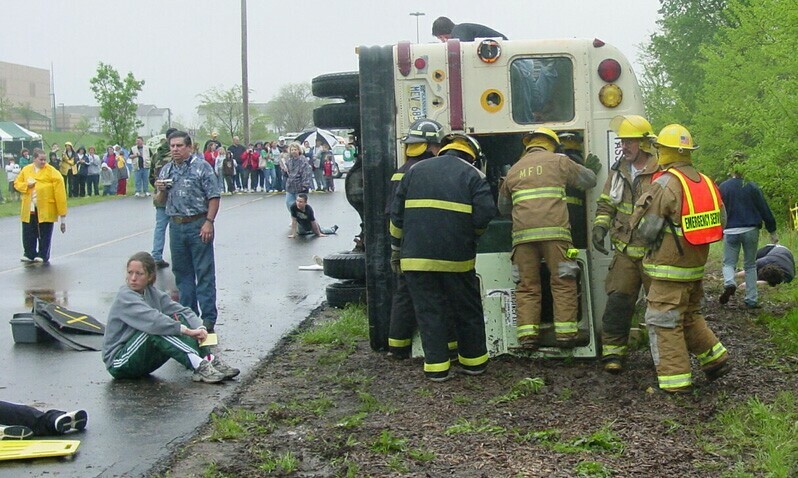 MES in cooperation with Mulvane School District #263 Transportation Department held a mock Mass Causality Incident. 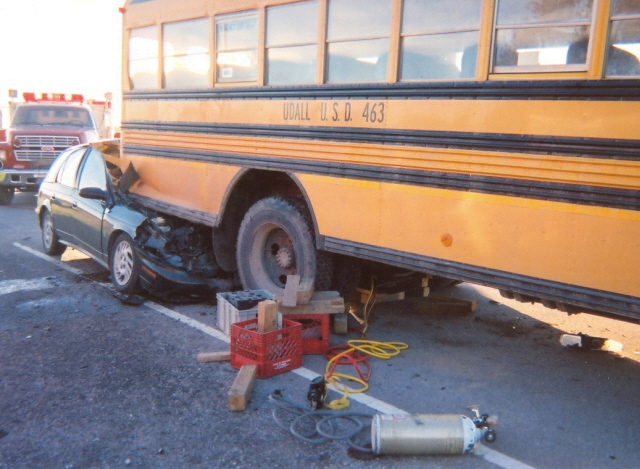 It involved a SUV colliding with a Church Bus. The bus landed on it's passenger side and the SUV ended up on it's roof. There were 40 victims, mostly school aged children. 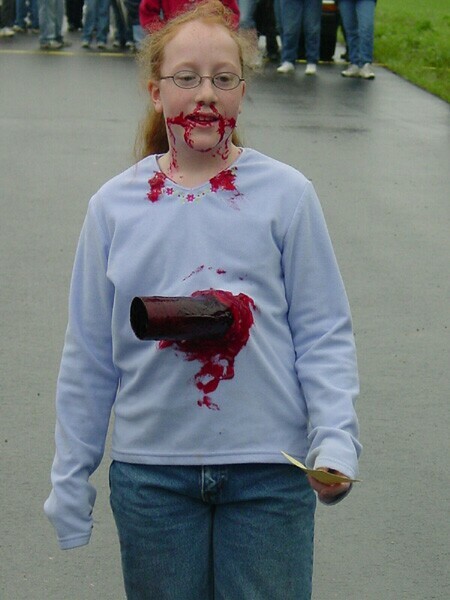 For more pictures, go to Garry's Page. Two trees were planted today in honor of George Larsen & Don Denny. 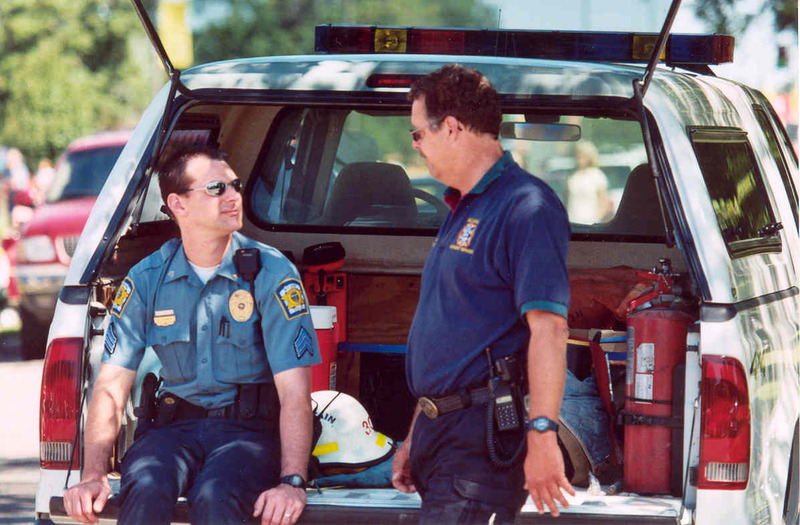 George was the Director of Mulvane Civil Defense and Don Denny was the Assistant Director for 30 years. A nice 20 minute presentation was held honoring both of these men. Members of MES from both past & present were here to honor George & Don. 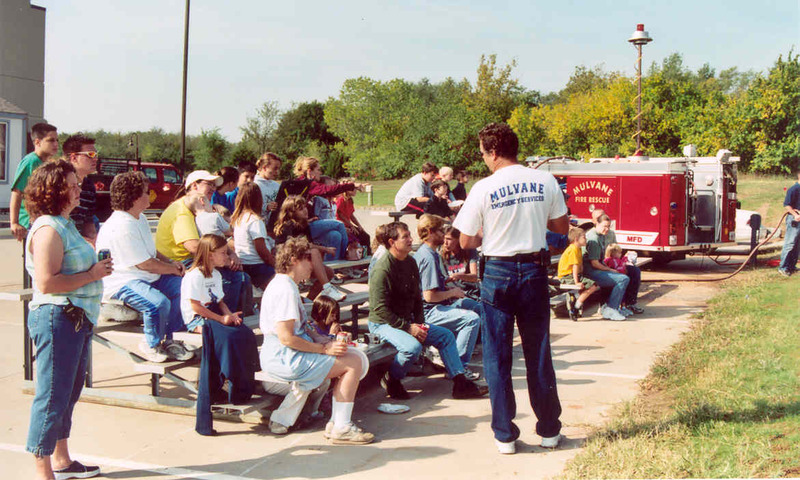 Jim McDaniel gave a brief history of the creation of Mulvane Civil Defense under the leadership of George and Don. Mayor James Ford made an Arbor Day Proclamation. Leanne Yohe, Chairman of the Mulvane Tree Board, was the Master of Ceremonies. Posting of the Colors was presented by Wolf Pack, Den 7. (Back Row L-R) Jim McDaniel, Duane McDaniel, Lowell Ester, Marcus Huslig, Jerry Quigley, Jerry Love, Joe Allen. 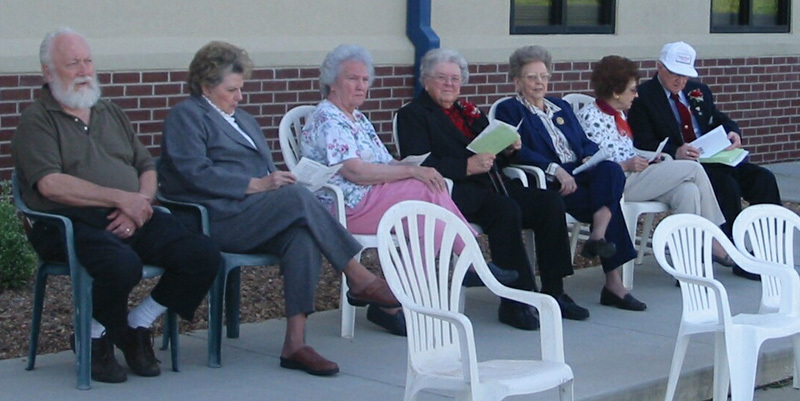 (Front row) Leanne Yohe, Russell Hurd, Lily Hurd, Margaret Larsen, Don Denny. 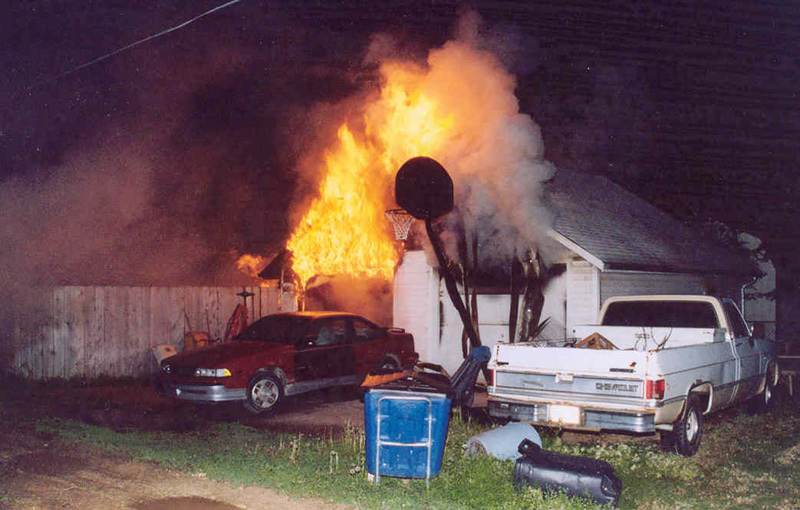 This fire was reported at approximately 2:45 am. The owner was working in the garage on a motorcycle. 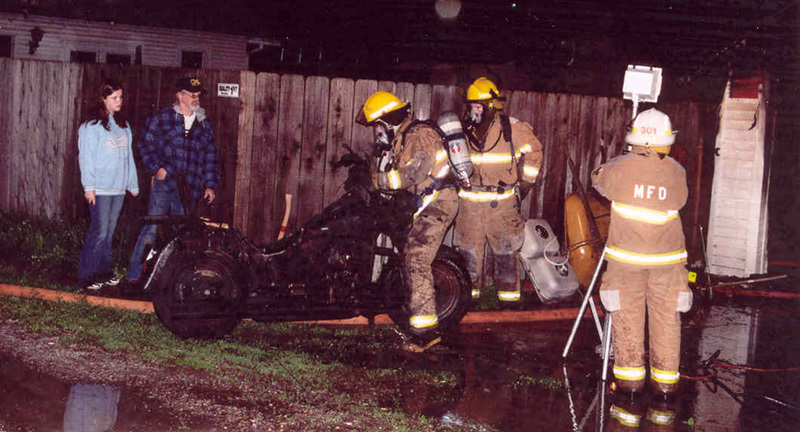 He was draining the gasoline out of the fuel tank when the fumes where ignited by the pilot light on a gas floor heater. The south half of the garage floor was covered with carpet. 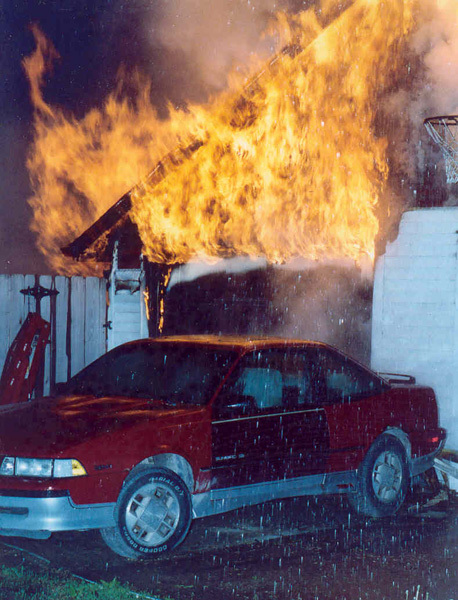 Due to high humidity and heavy smoke from the hydrocarbon fuels, first arriving units had trouble actually finding the fire (before flashover) due to the smoke covering the ground. 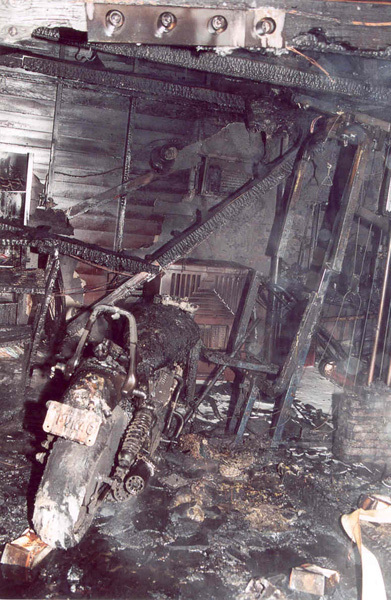 The garage was a total loss along with three motorcycles and the contents of the garage. This family was lucky. They had put some grease on the range to make french fries. They then went out to the garage to do some work. The next sound they heard was the smoke detectors going off in the house. 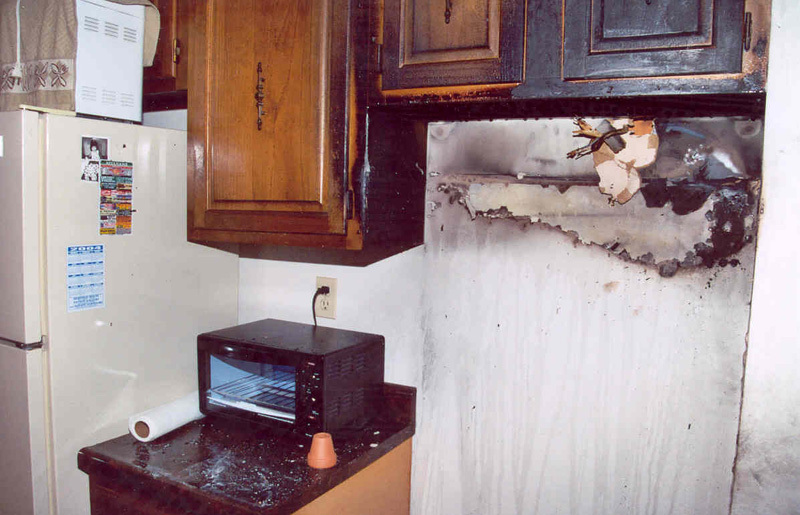 The homeowners were able to put the fire out before the fire department arrived but the kitchen still had considerable damage. 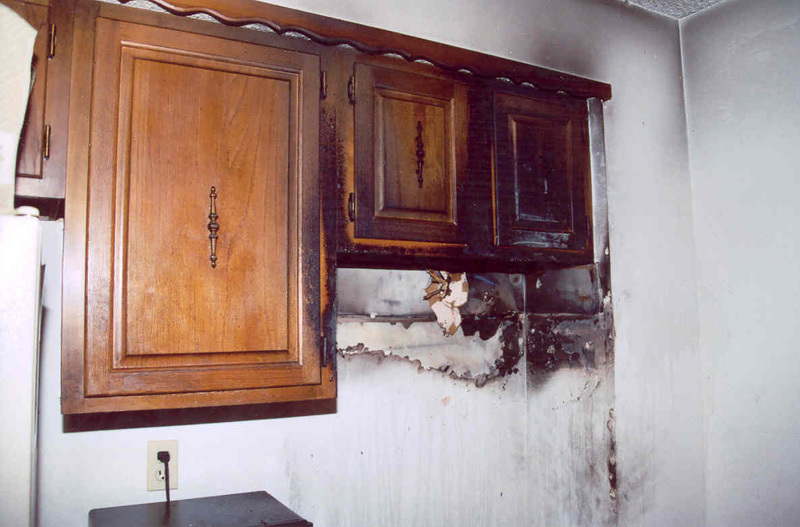 The cabinets were burned above the range and the range hood was destroyed. 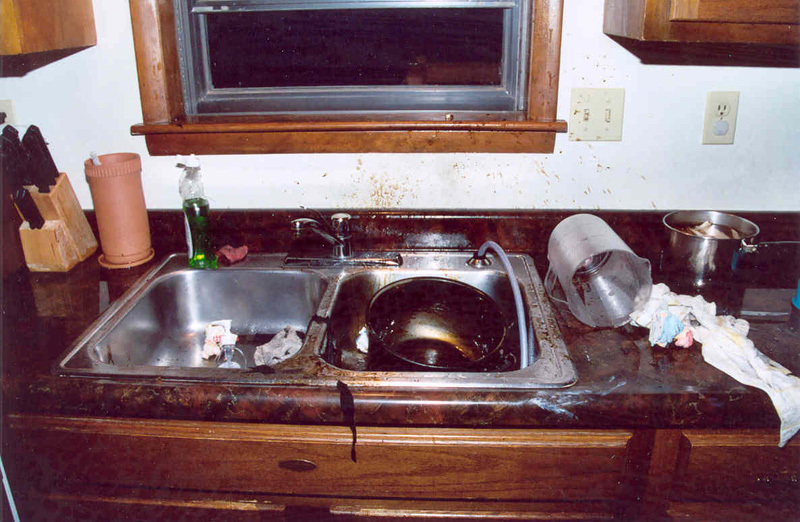 The curtains and blinds were destroyed when they threw the boiling grease over into the sink, thus igniting the other side of the kitchen also. Mulvane Emergency Services is holding a Pumper Driver / Operator class this Month. The Class is being taught by Bryan Ellis from Sedgwick County Fire Department. M.E.S. has 8 members enrolled in the class. There are another 4 members attending from surrounding departments. See Garry's pictures of the testing day! 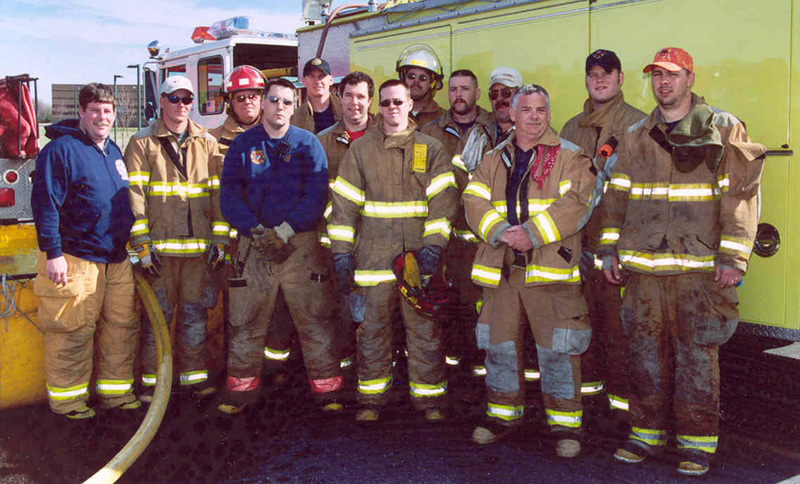 (L-R) Instructor Bryan Ellis, Pete Welch, Mike Fells, Mark Misek, Gerald Johnson, Steve Kohr, Ryan Schwatken, Lowell Ester, Joe McDaniel, Fred Heersche, Bobby Kimble, Nate Yarnell, Casey Myers. 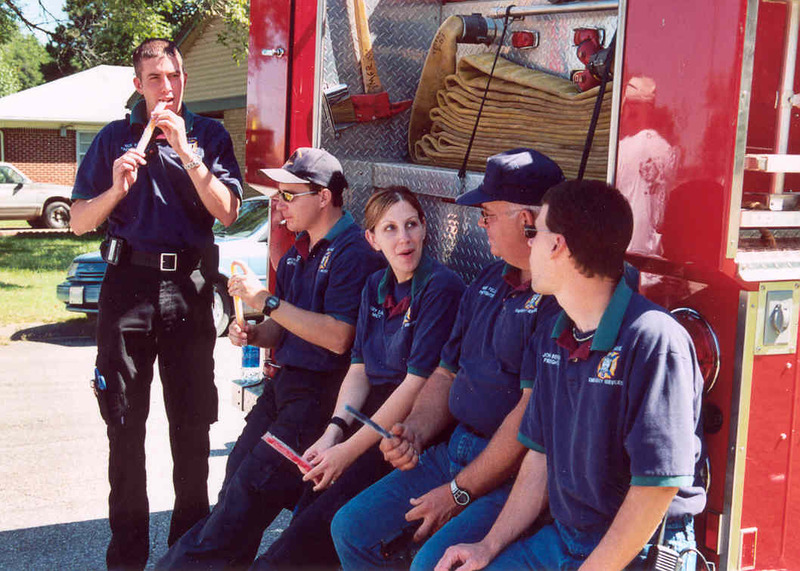 Mulvane Emergency Services is holding an Instructor I class this Month. The Class is being taught by Bryan Ellis from Sedgwick County Fire Department. M.E.S. has 5 members enrolled in the class. There are another 7 members attending from surrounding departments. 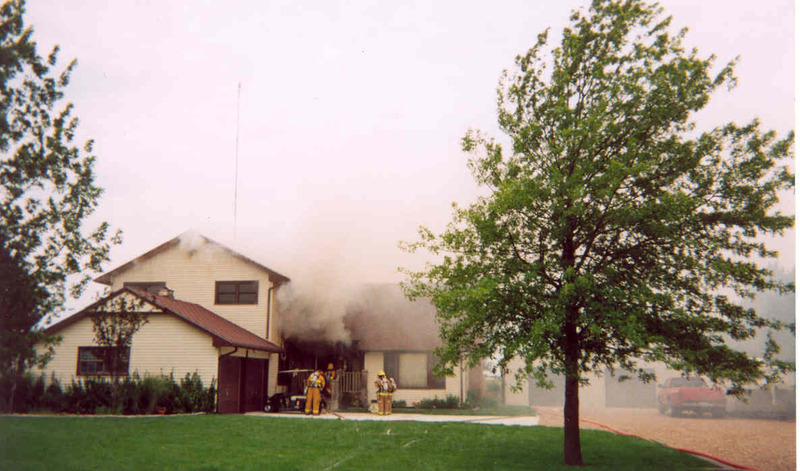 Mulvane Emergency Services is holding a Firefighter II class this Month. The Class is being taught by Bill Hellard from Wellington Fire Department. M.E.S. has 10 members enrolled in the class. There are another 6 members attending from surrounding departments. (Back L-R) Chris Megonigle, Gerald Johnson, Joe McDaniel, Casey Myers, Lowell Ester, Fred Heersche. (Middle L-R) Mark Misek, Seth Goodin, Ryan Schwatken, Bobby Kimble, Jim McDaniel, Mike Fells. (Front L-R) Pete Welch, Jed Rea, Les Foster, Mitch Kratochvil, Instructor Bill Hellard. This class will be followed by an Instructor I class during the month of February and a Pumper Driver/Operator class during March. Bryan Ellis from Sedgwick County Fire Department will be the instructor for both of these classes. 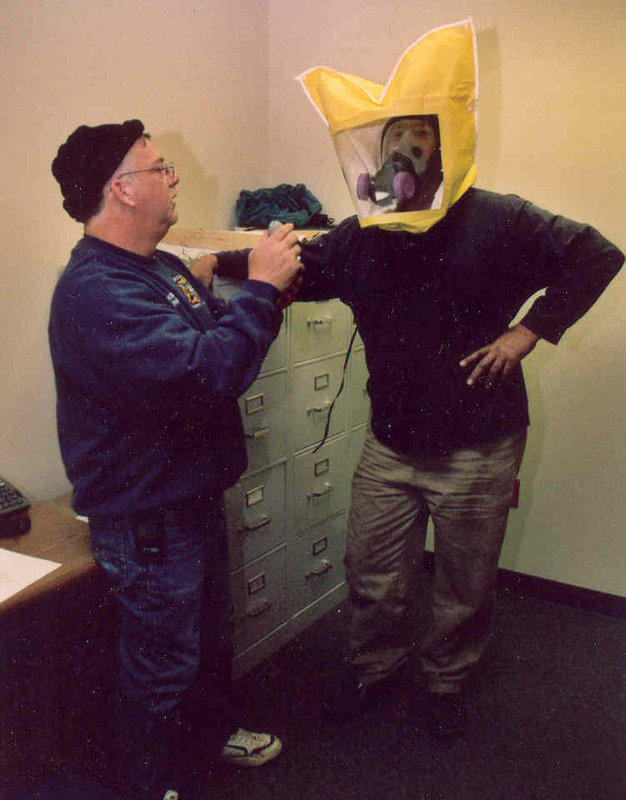 Lt. Bobby Kimble tests FF Fred Heersche for his annual SCBA mask fit test. We are very proud of our department and our new station. We welcome organizations to schedules tours of the facility. 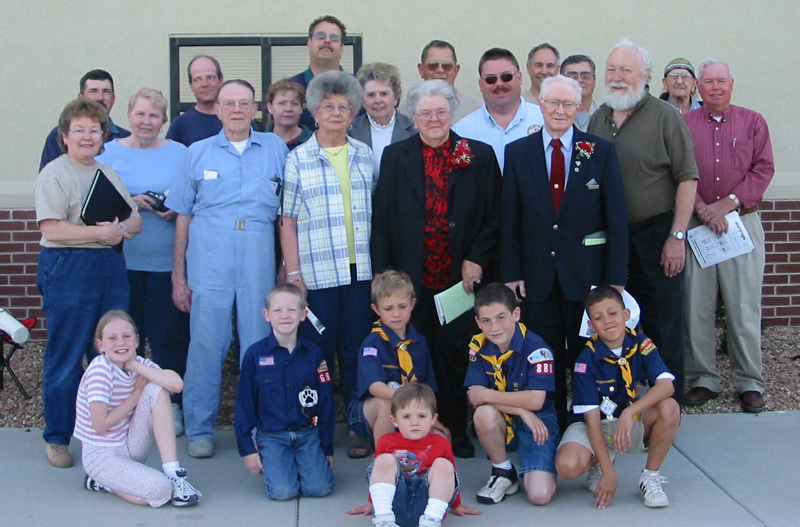 Shown here is Boy Scout Pack #888, Den #5.